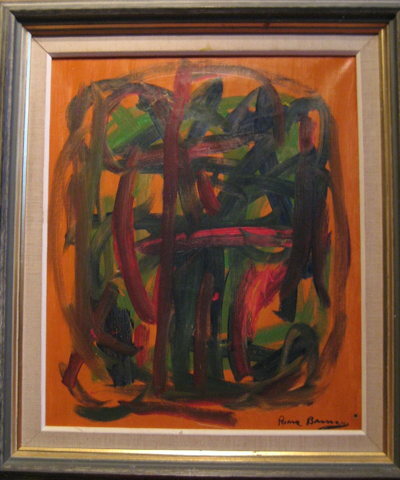 In February 1964, four paintings by a previously unknown avant-garde French artist named Pierre Brassau were exhibited at an art show in Göteborg, Sweden. Also at the show were works by artists from England, Denmark, Austria, Italy, and Sweden, but it was the works of the French artist that attracted all the attention. One lone critic panned Brassau’s work, declaring, “Only an ape could have done this.” As it turned out, this critic was correct. Pierre Brassau was, in fact, an ape. 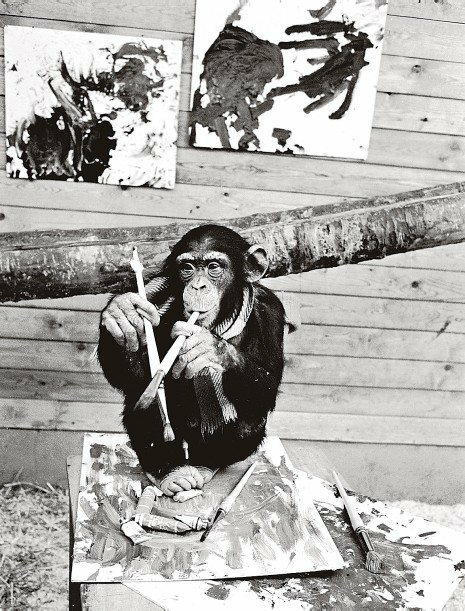 Specifically, he was a four-year-old West African chimpanzee named Peter from Sweden’s Boras zoo. This entry was posted on Thursday, 24 October 2013 at 12:05 AM and is filed under Contributions to the World, Cool, Humor, Odd, Retro, Stupid, True Stories. You can follow any responses to this entry through the RSS 2.0 feed. You can leave a response, or trackback from your own site.